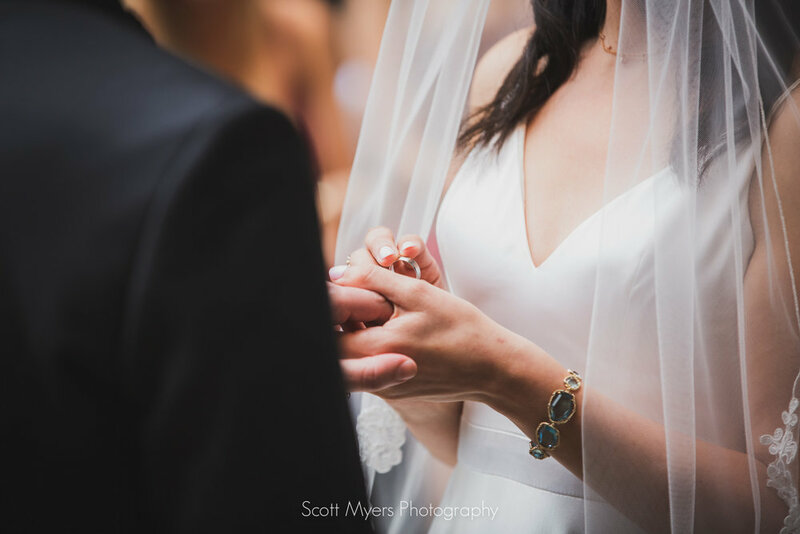 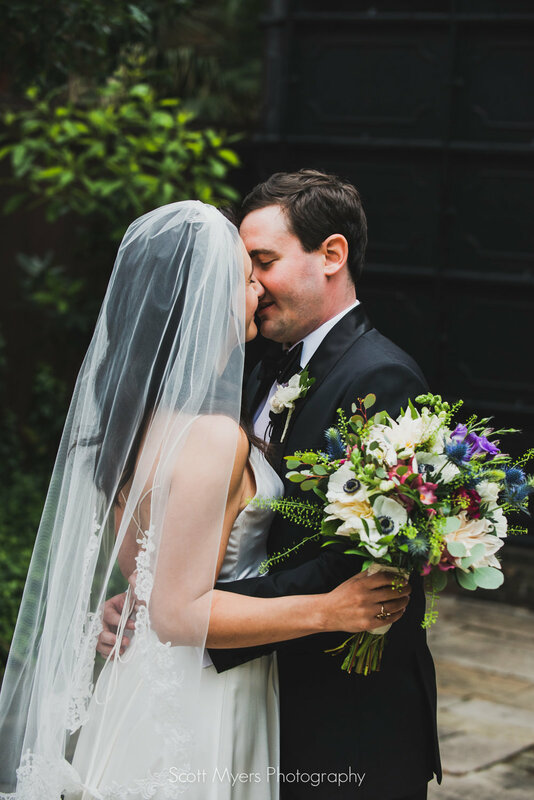 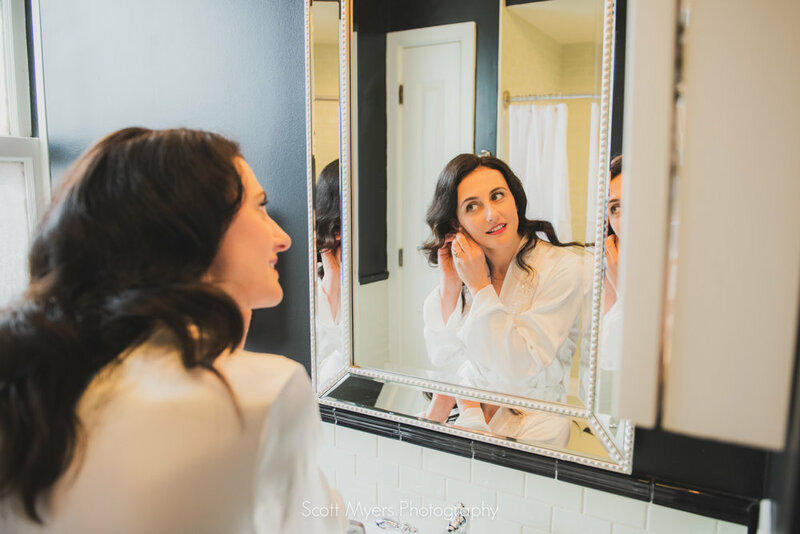 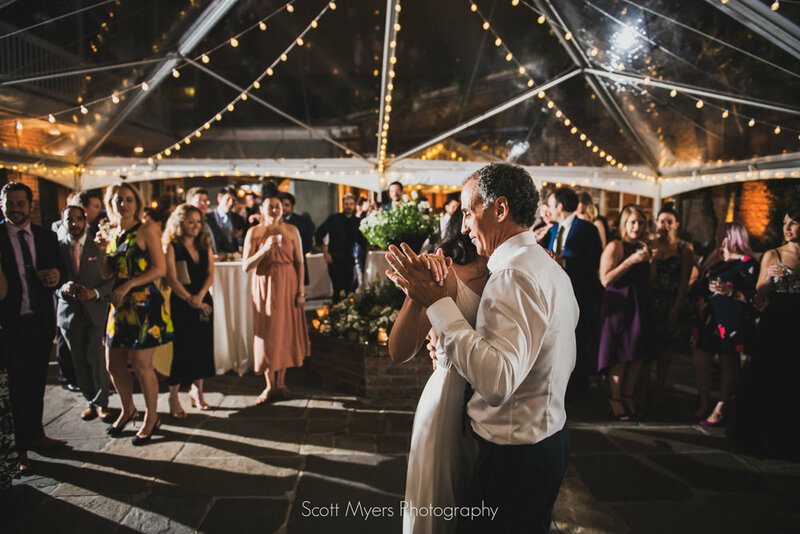 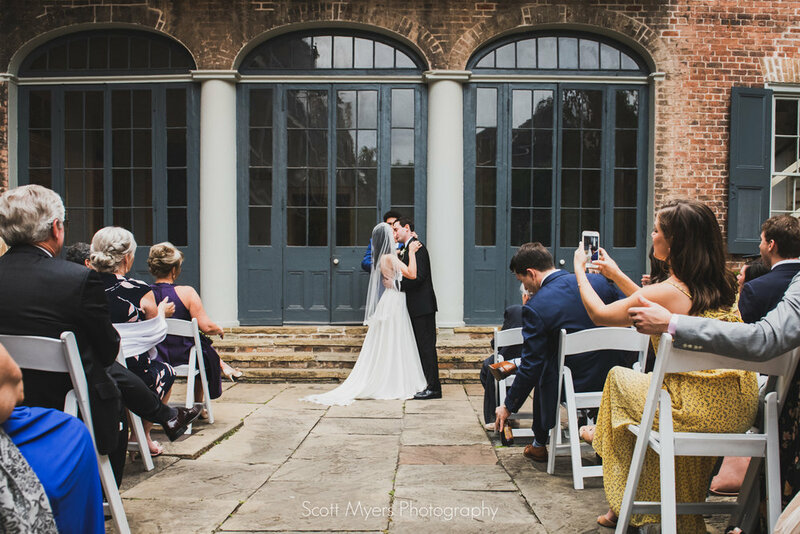 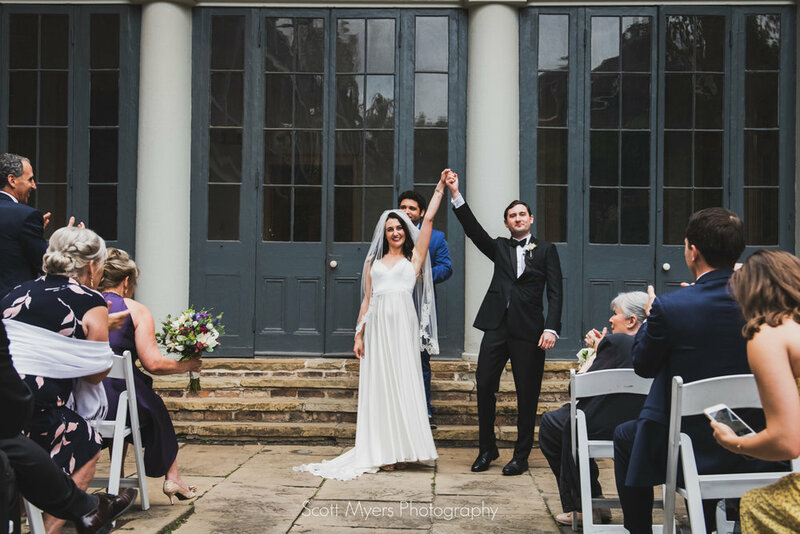 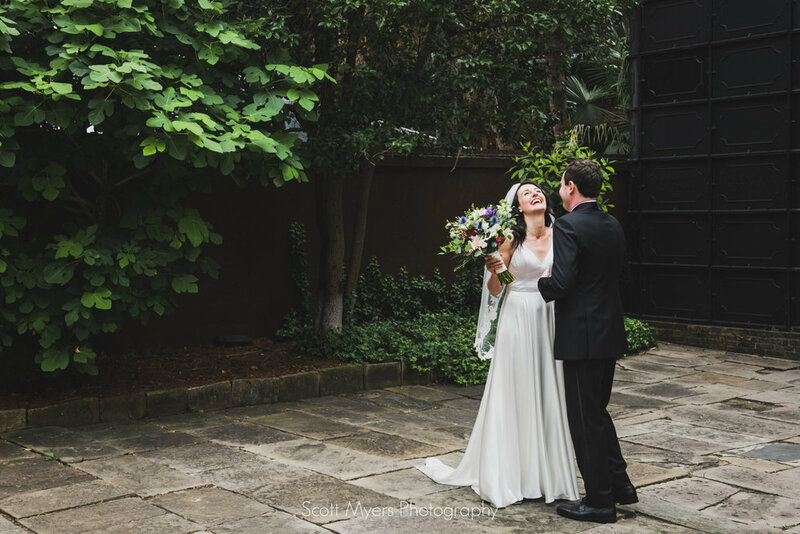 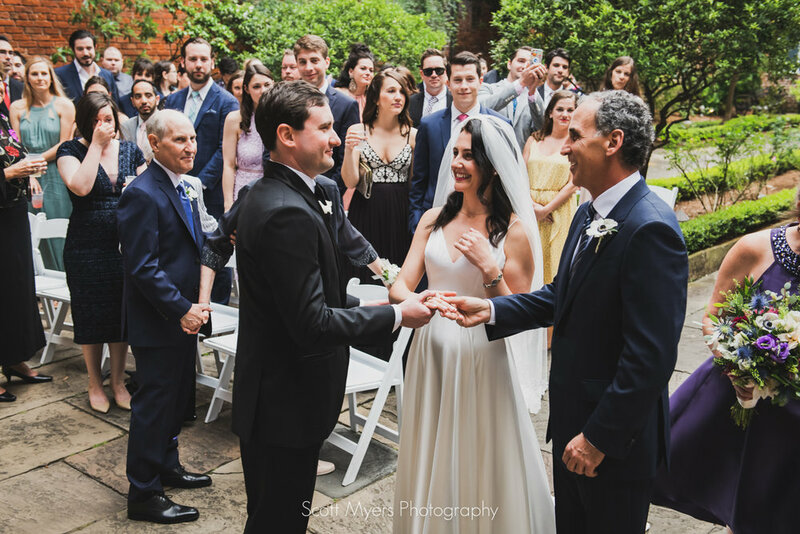 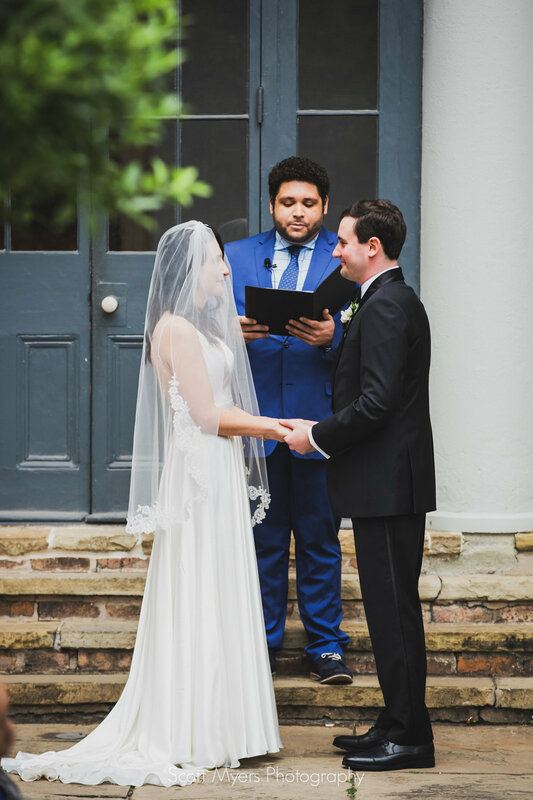 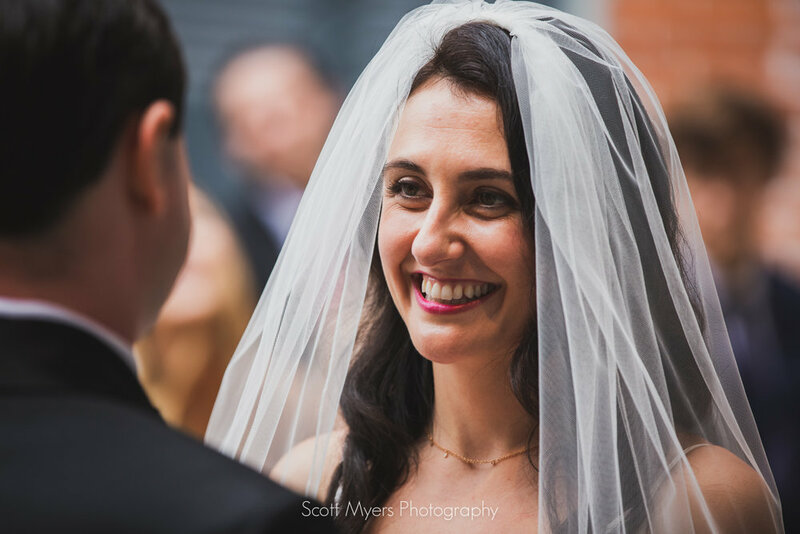 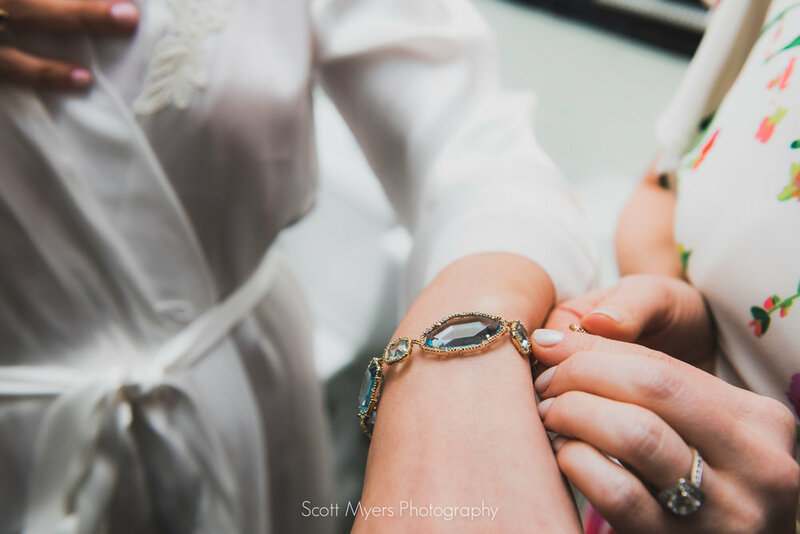 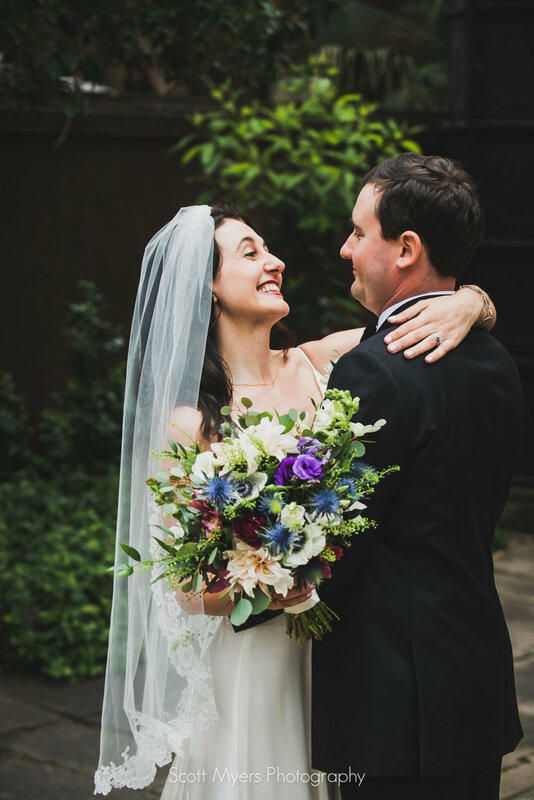 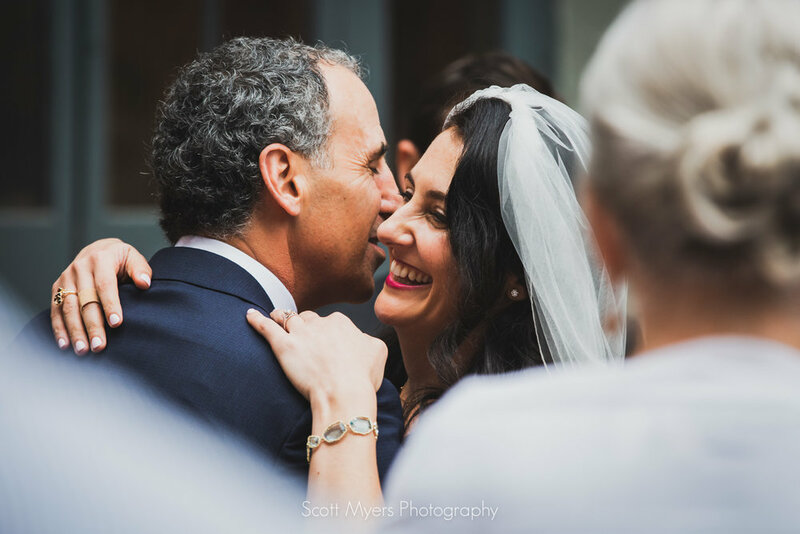 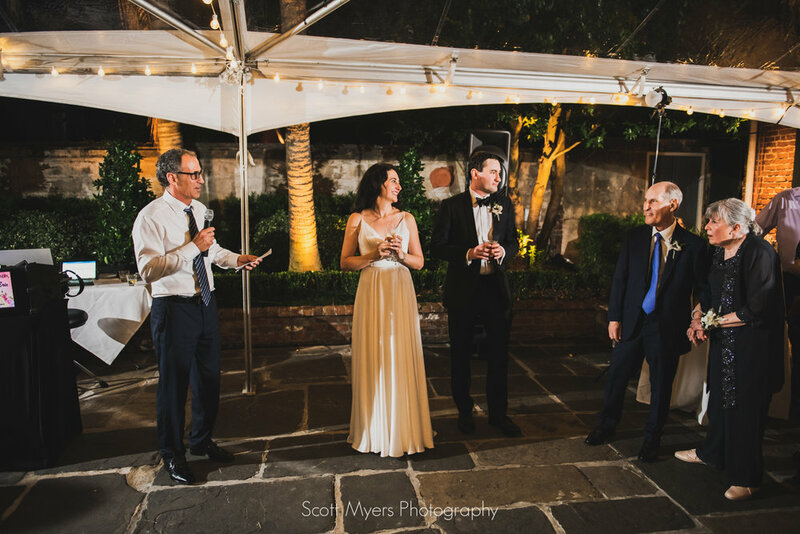 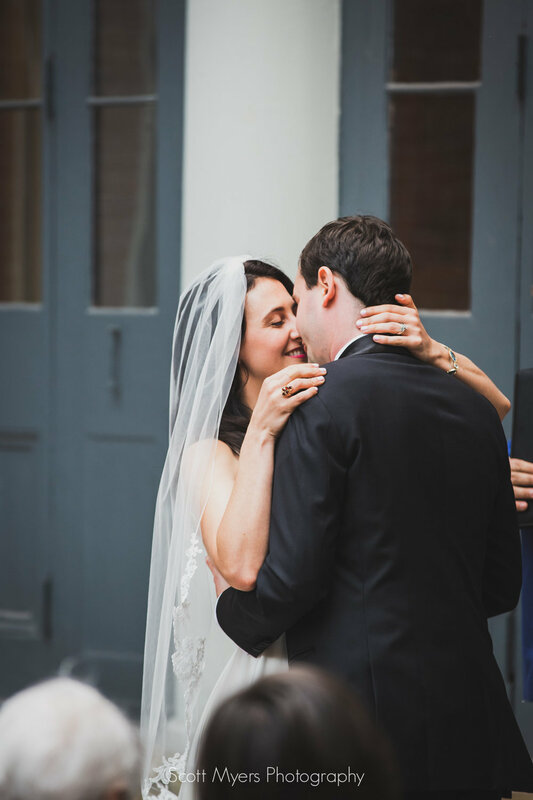 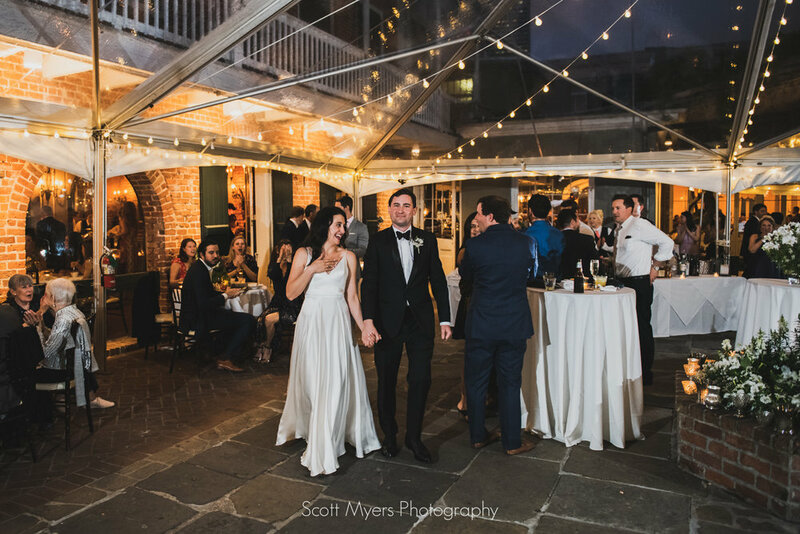 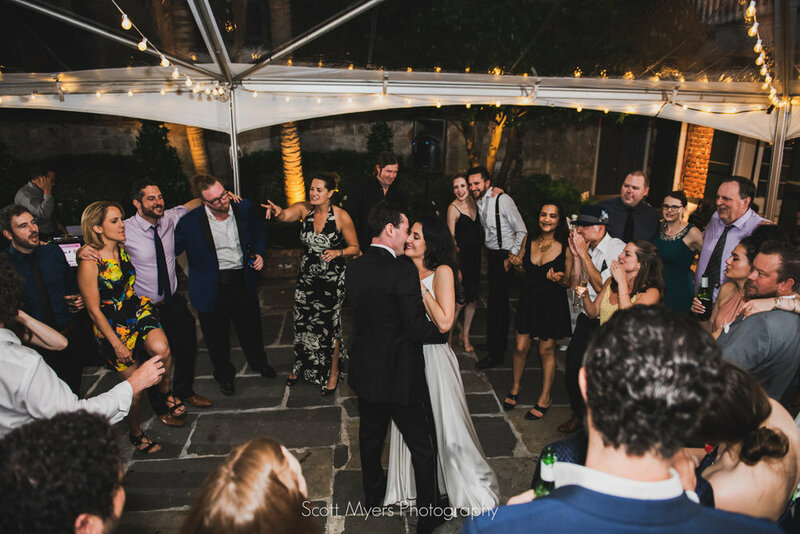 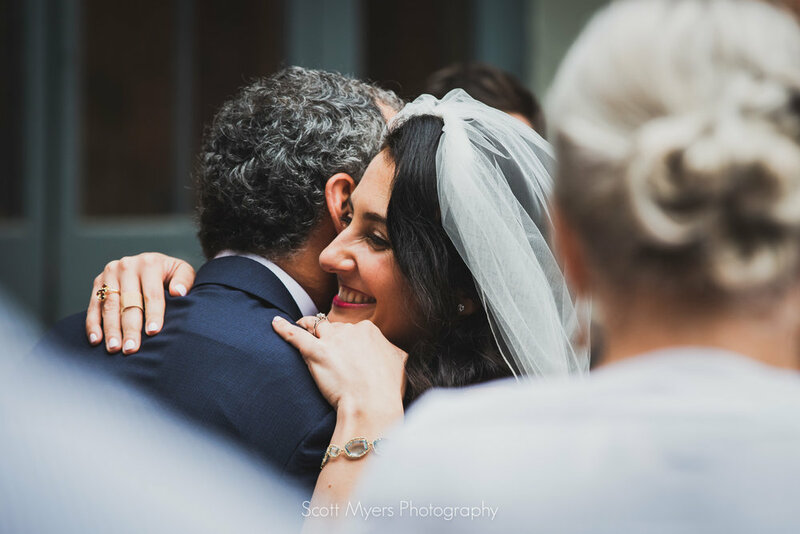 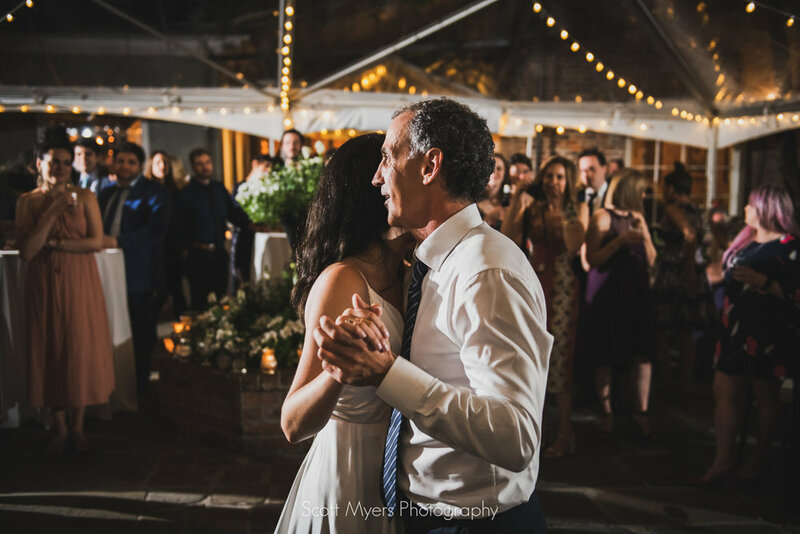 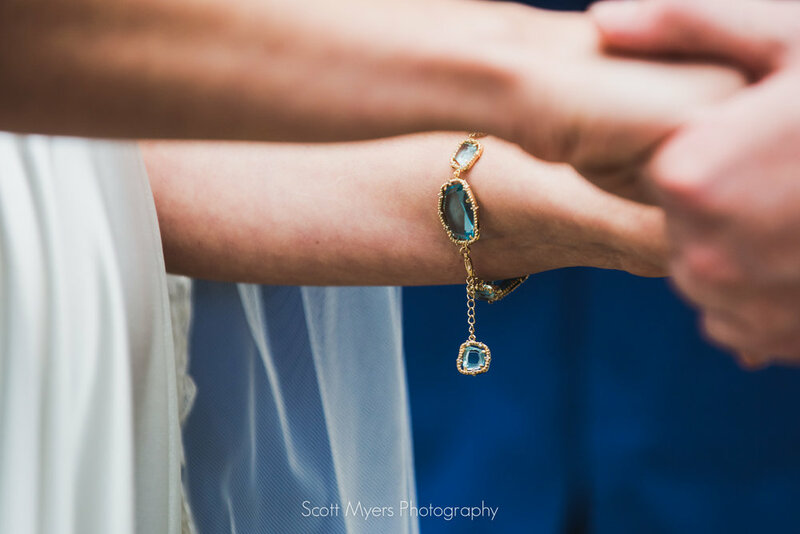 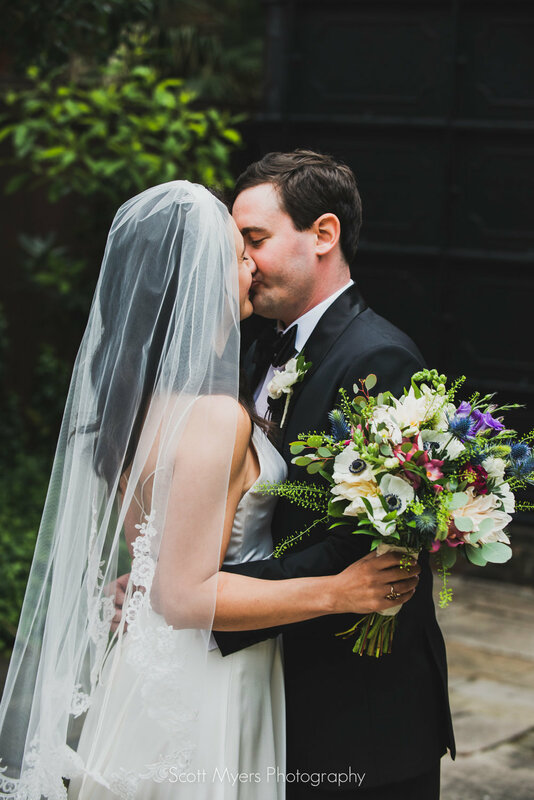 Alyssa and Eric certainly picked one of the loveliest spots amongst many in the city of New Orleans to celebrate their marriage. 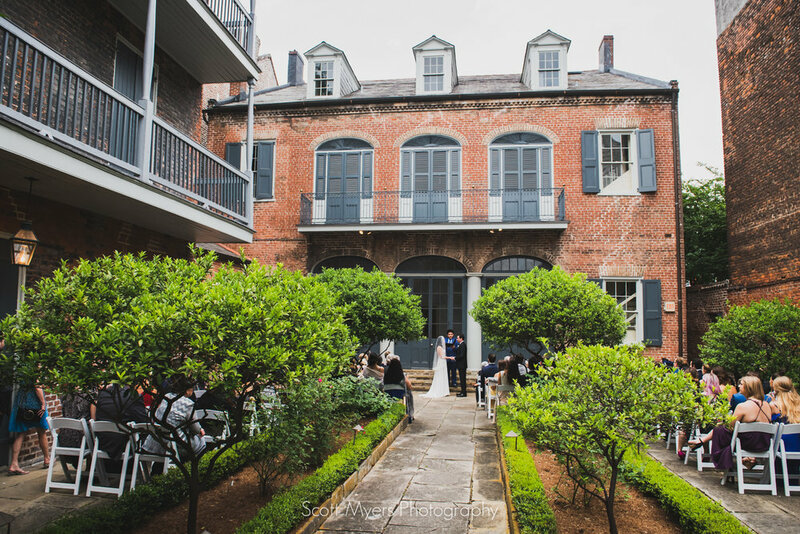 The Hermann-Grima house is one of the most well preserved architectural gems of the city, dating to the early 1800's, and Broussard's is another French Quarter gem with a roomy courtyard and fantastic food. 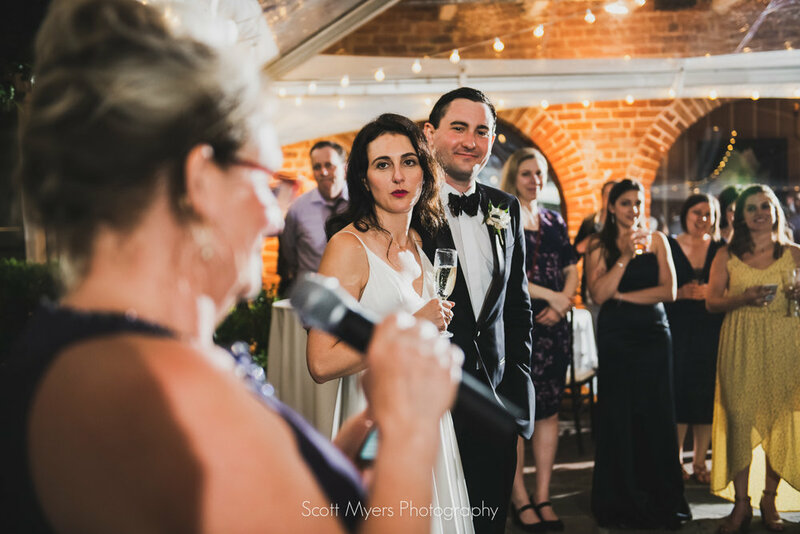 I jumped at the opportunity to document this union! 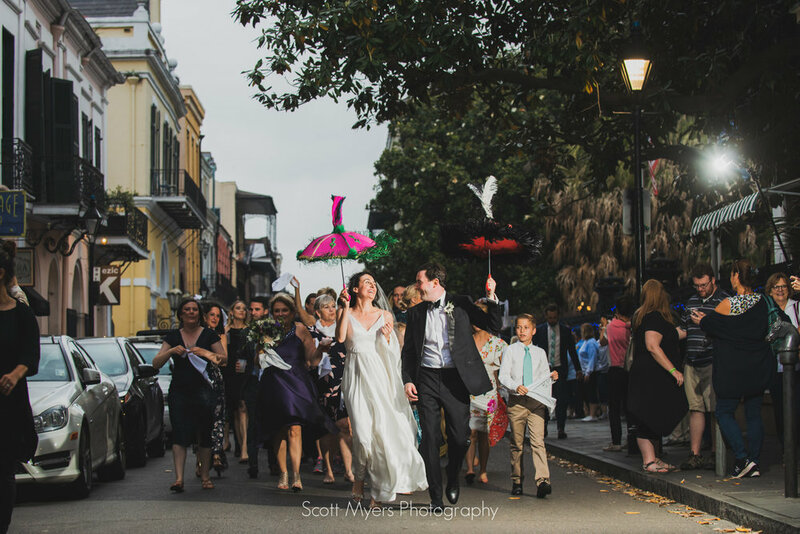 My day documenting the festivities began at the Ponchartrain Hotel, with Alyssa and her crew. 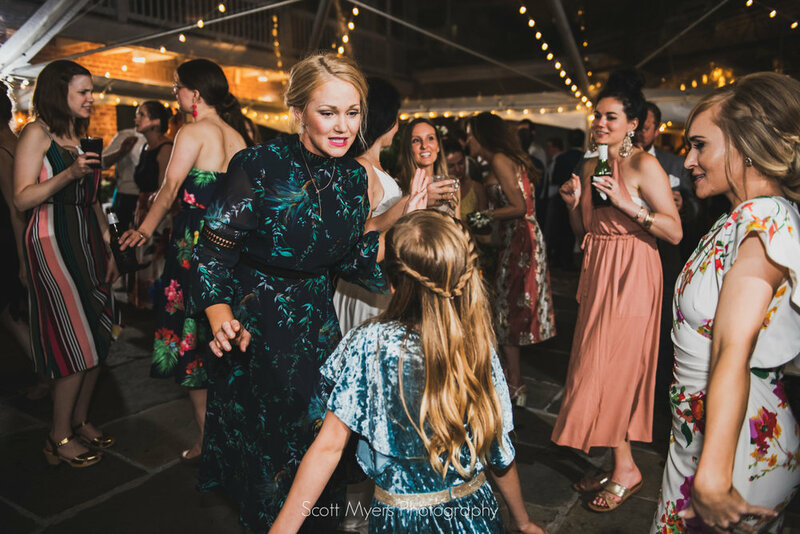 A high spirited but relaxed atmosphere ruled the room, while everyone made their way through hair, makeup and got their dresses and accessories sorted out. 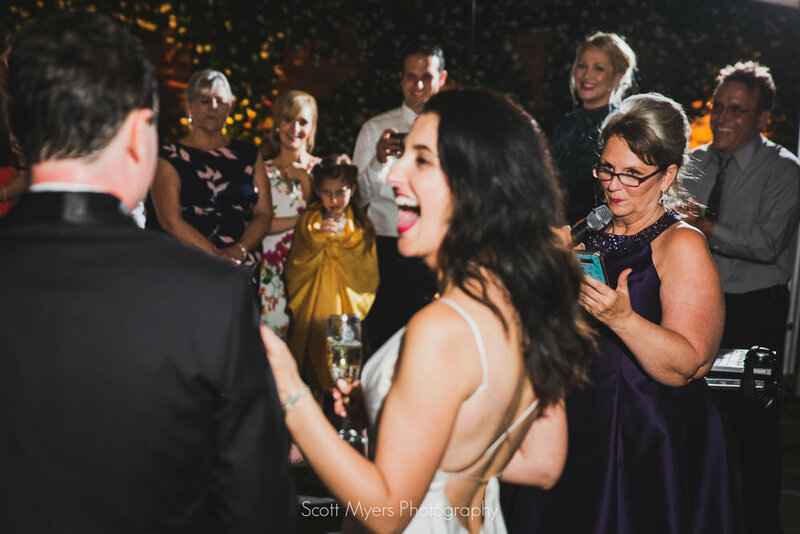 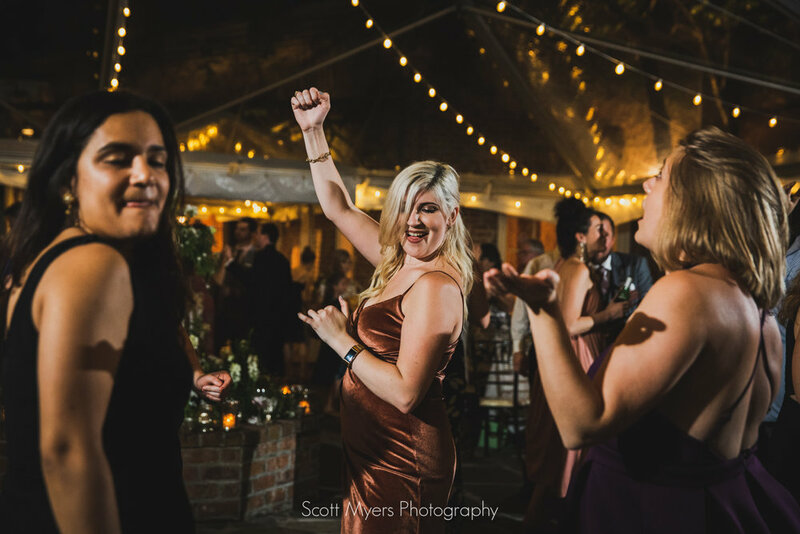 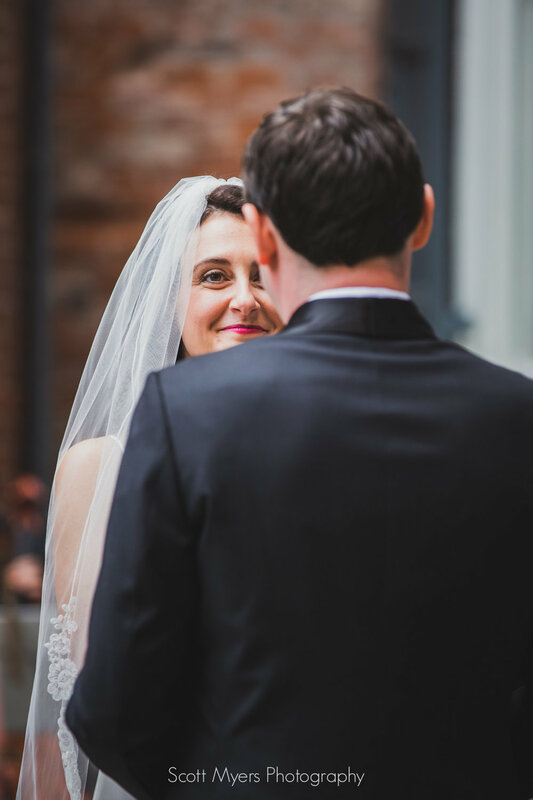 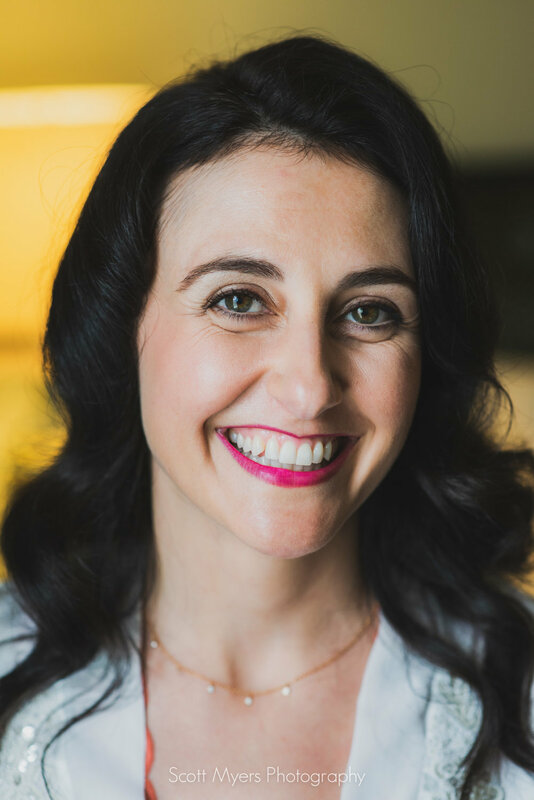 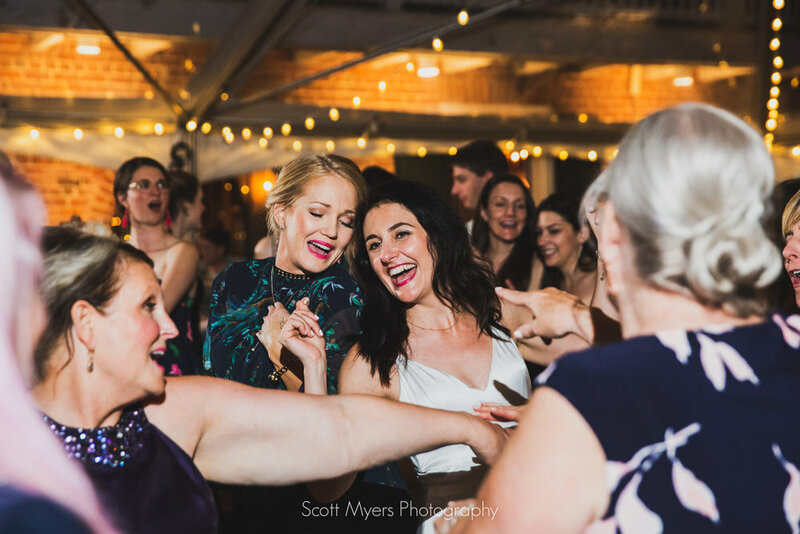 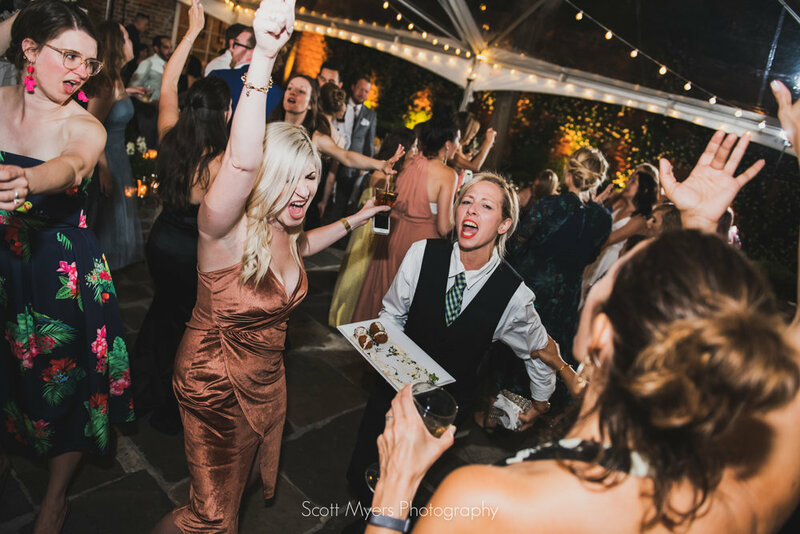 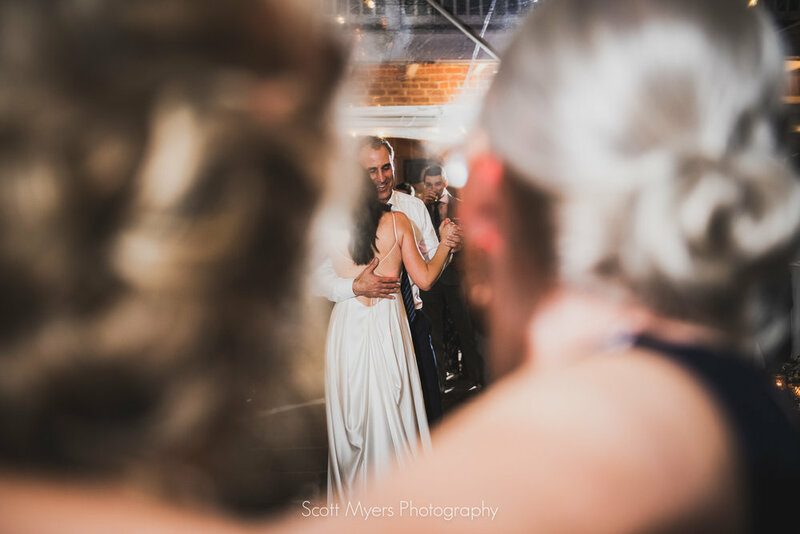 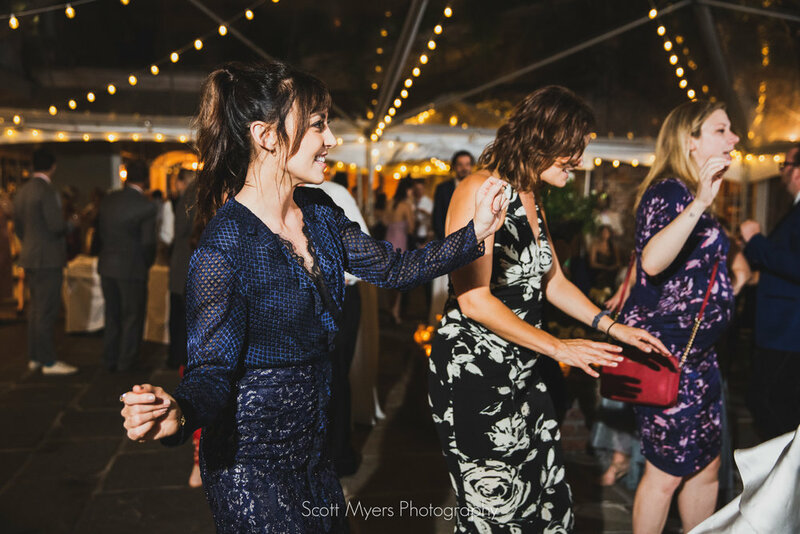 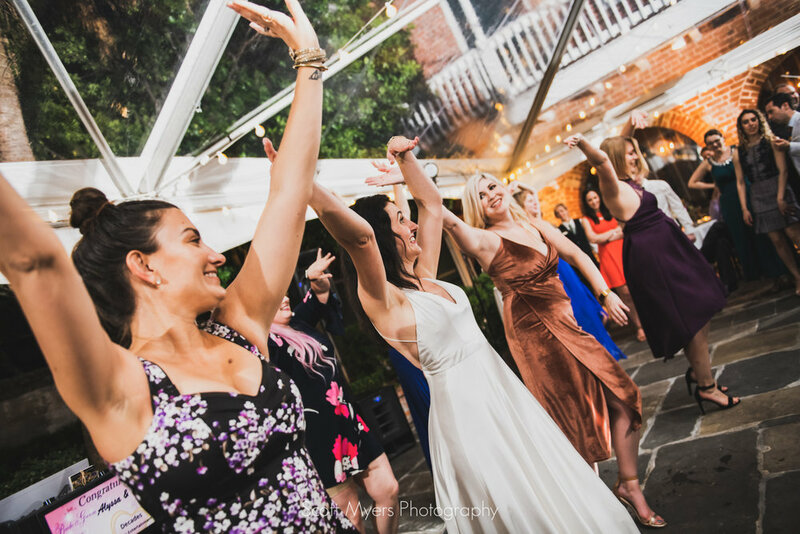 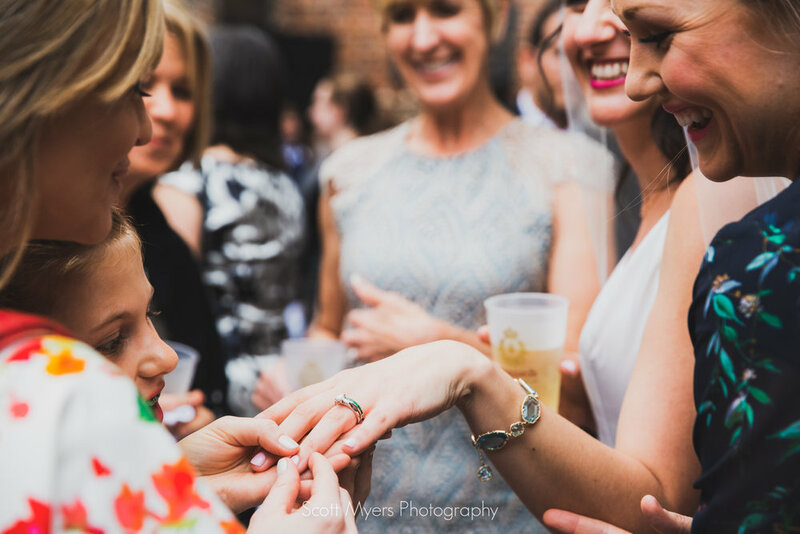 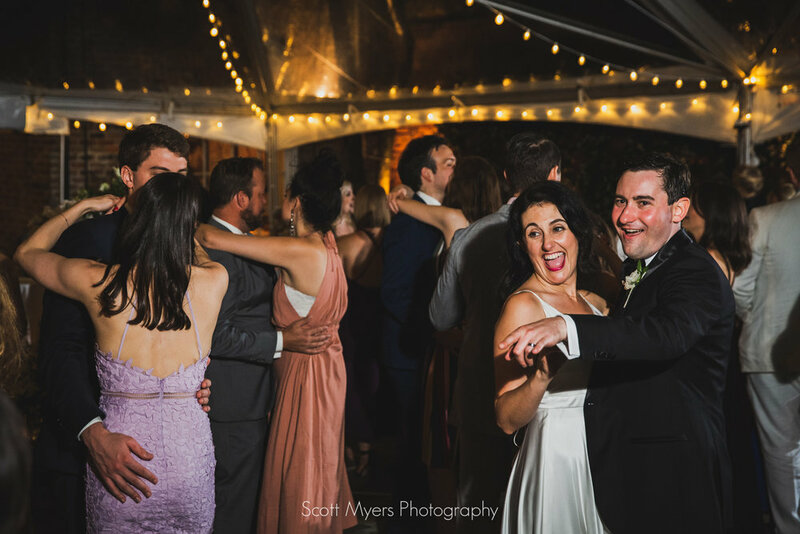 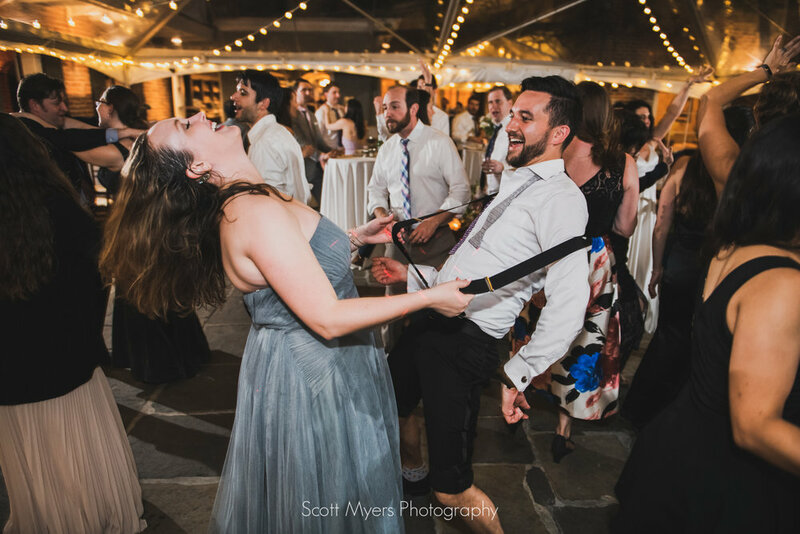 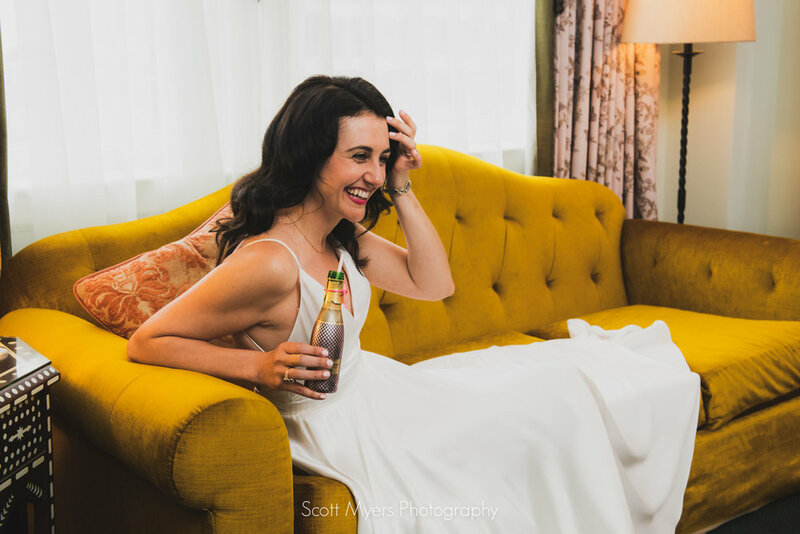 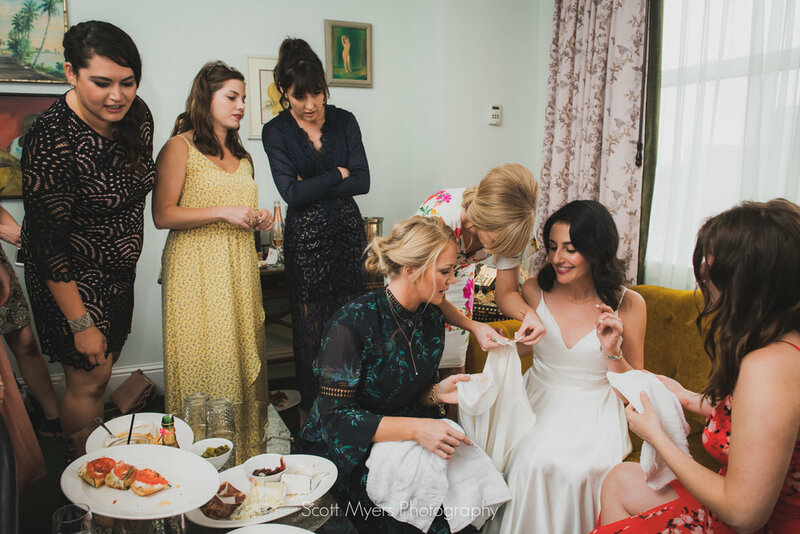 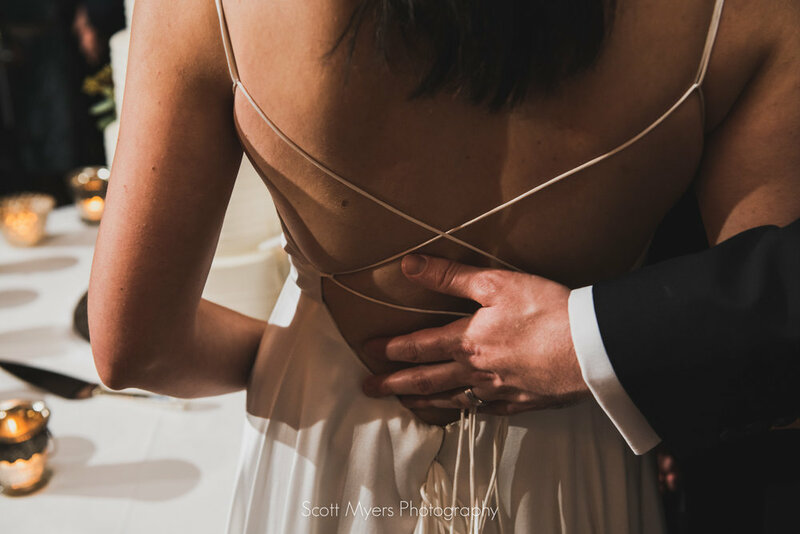 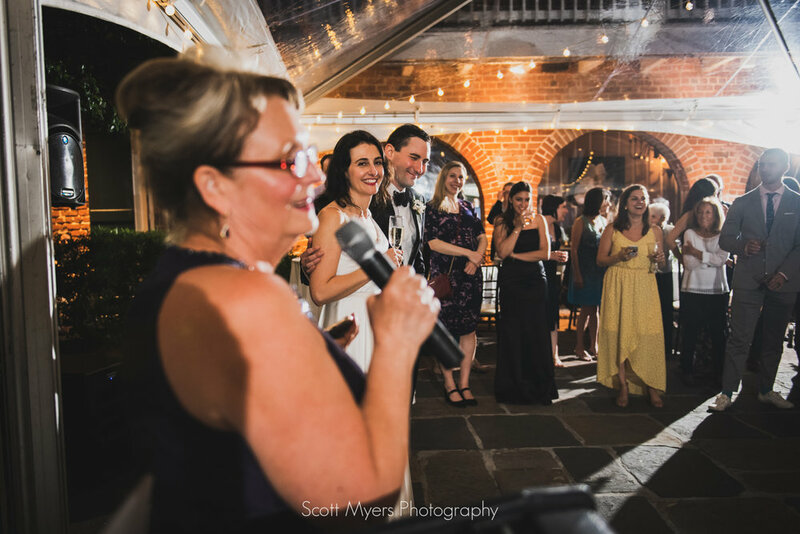 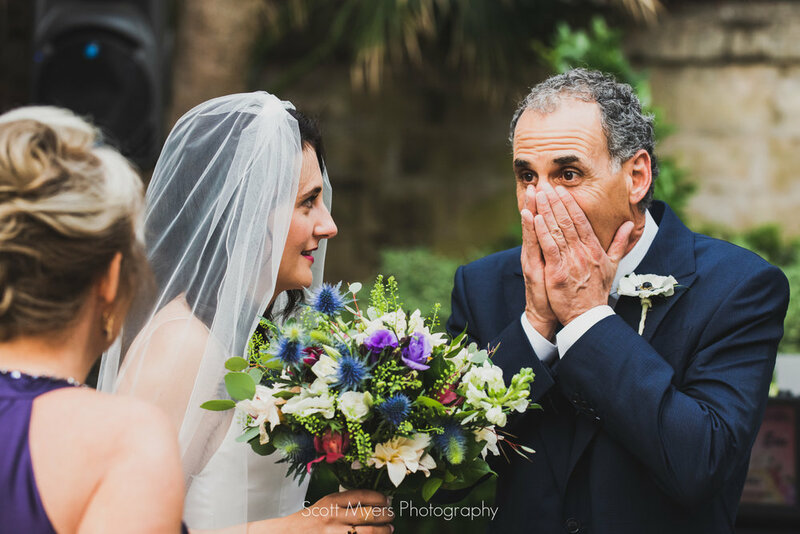 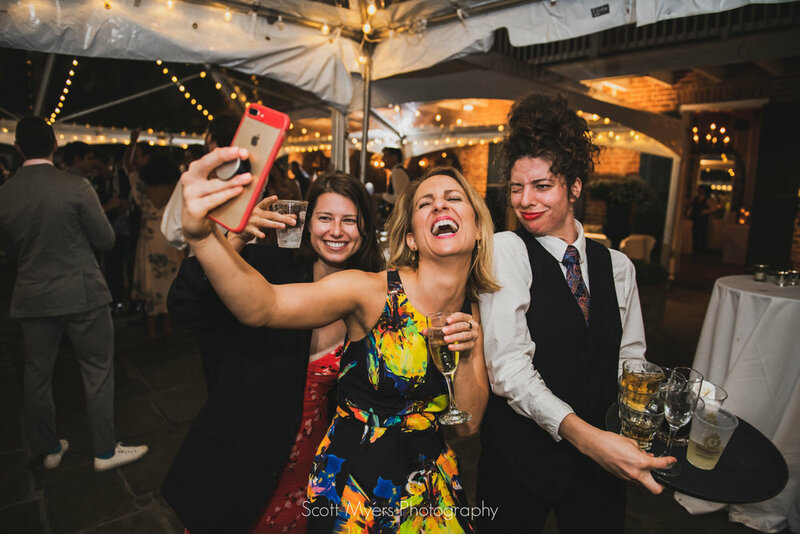 Since everything was going so smoothly, and it was, after all, a wedding, a minor disaster provided some excitement and comic relief, as a plate of charcuterie was accidentally knocked onto Alyssa's dress. 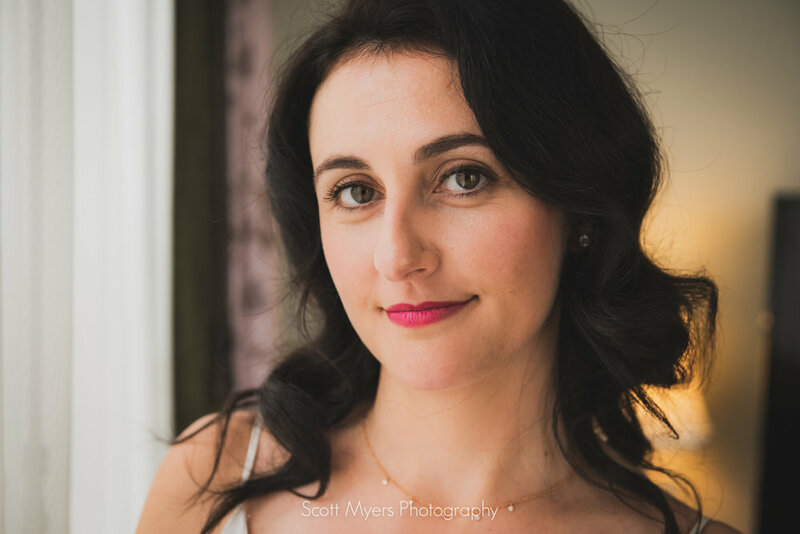 I was really impressed at how well she handled the situation, and she went out of her way to make sure nobody felt bad about the accident. 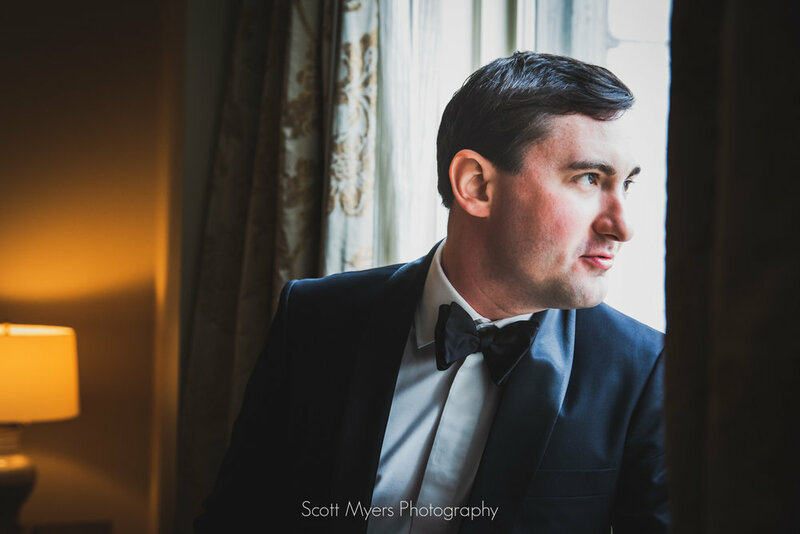 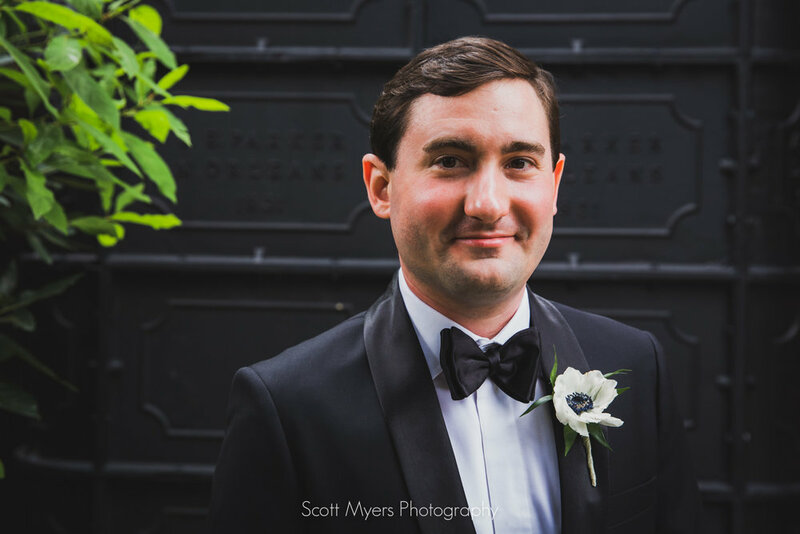 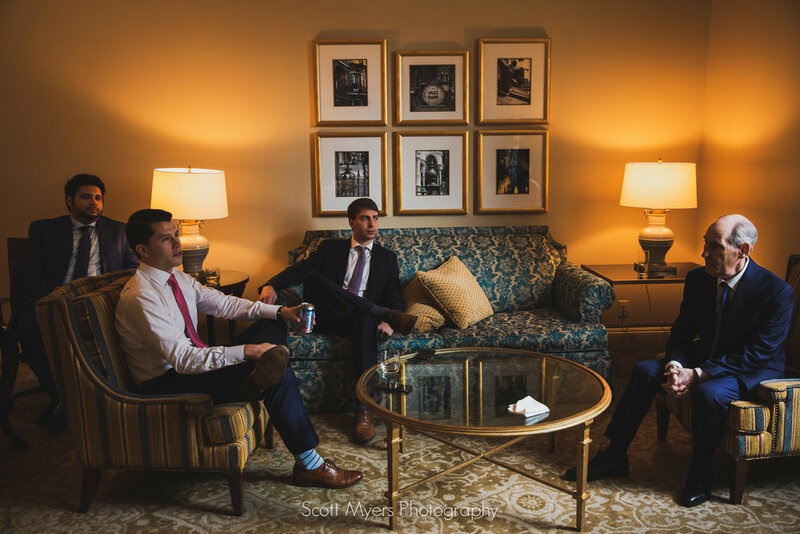 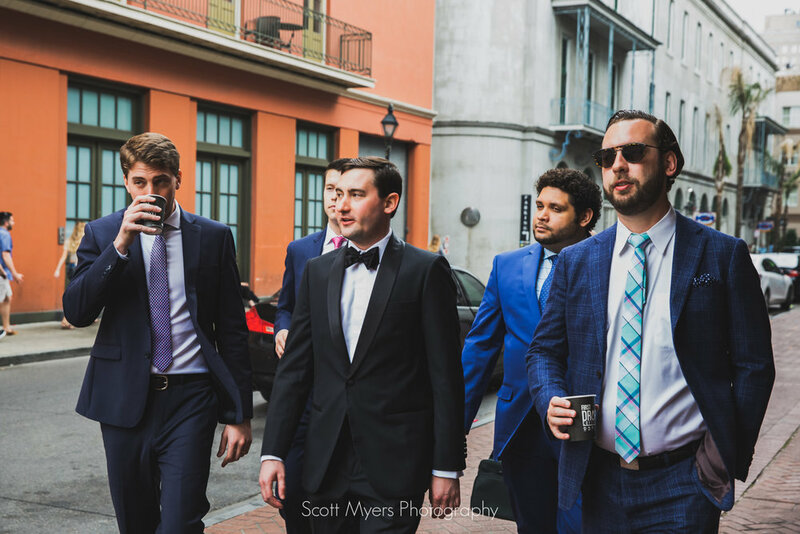 After some emergency stain removal, we captured some portraits and headed out for the French Quarter. 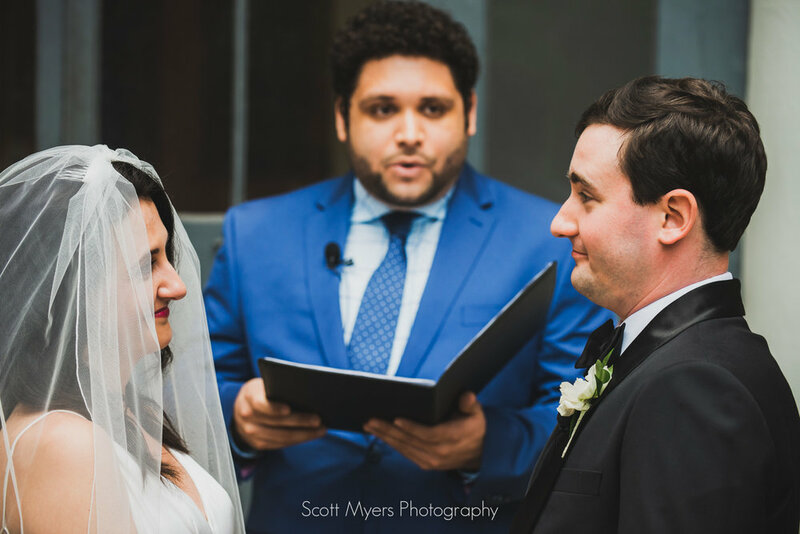 The ceremony was officiated by a friend of the couple, and the weather couldn't have been better. 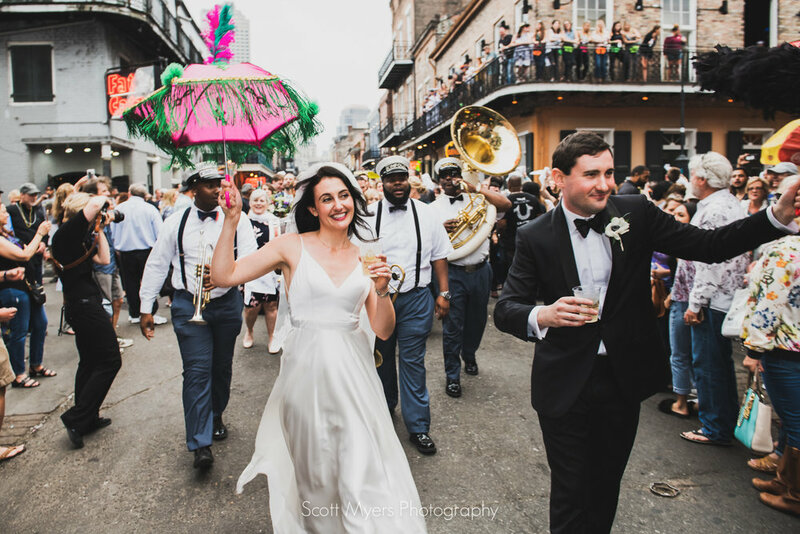 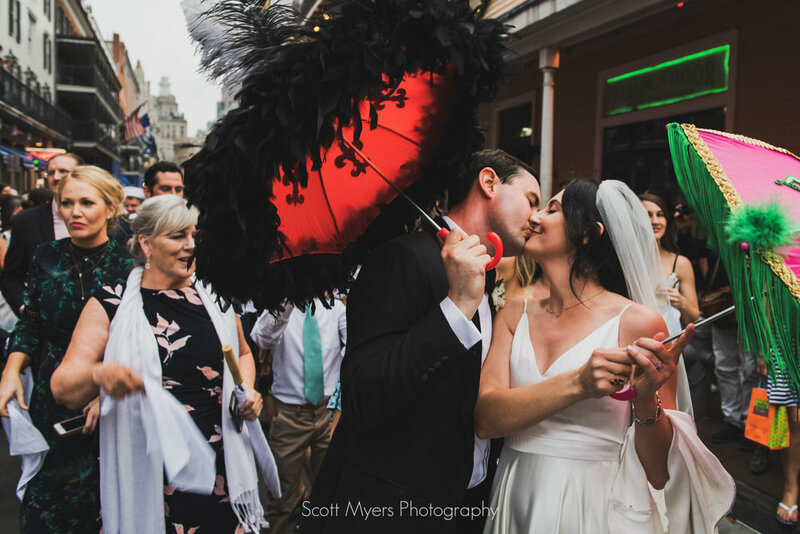 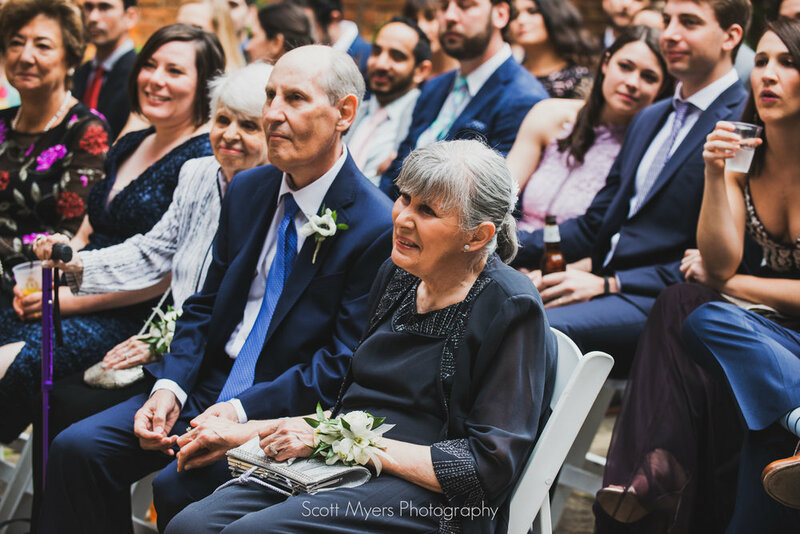 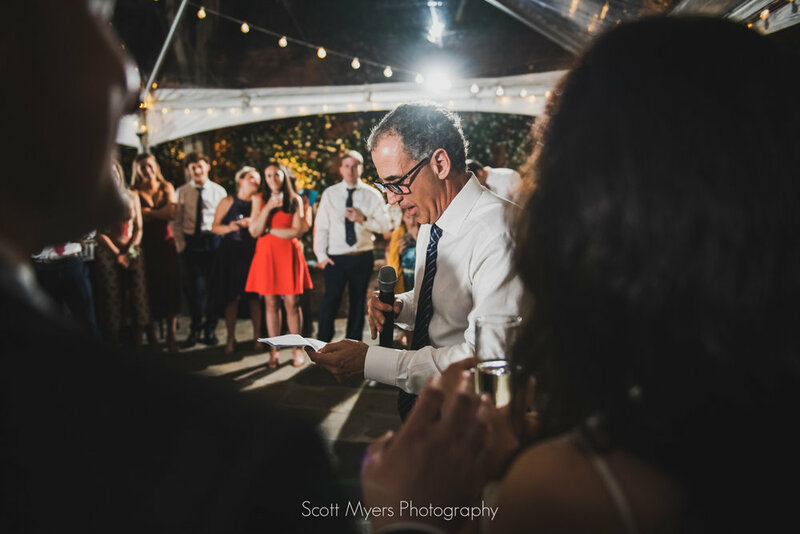 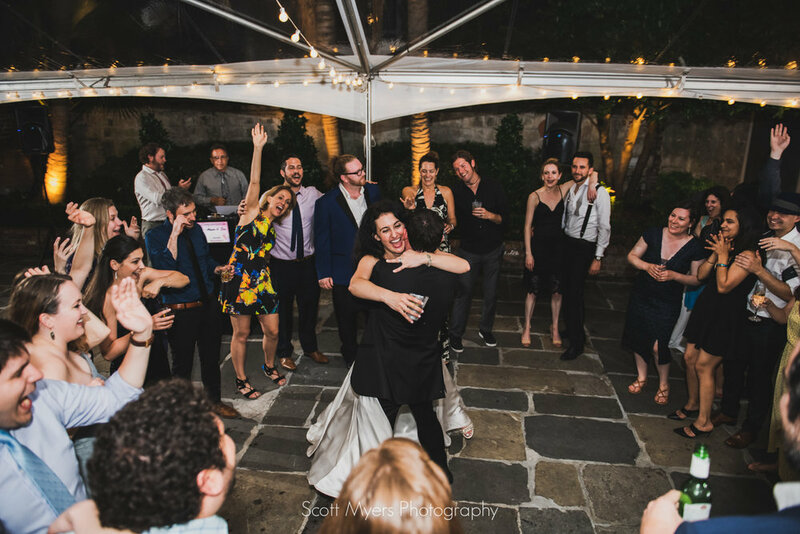 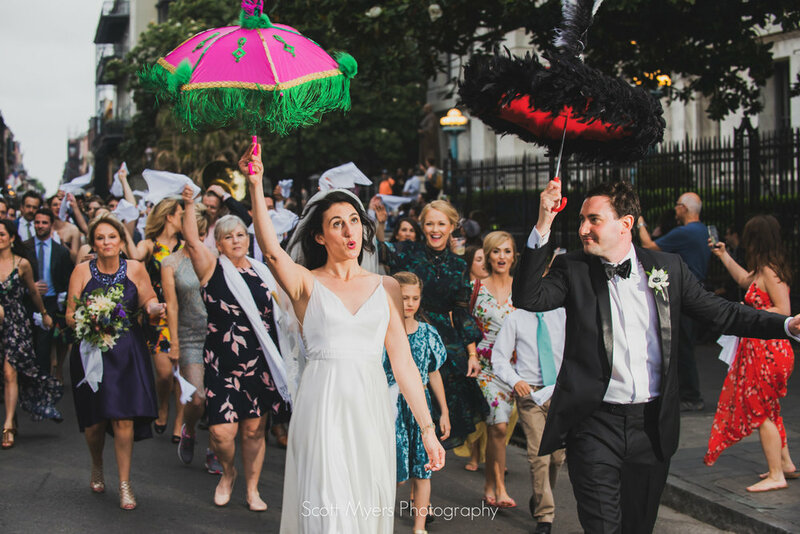 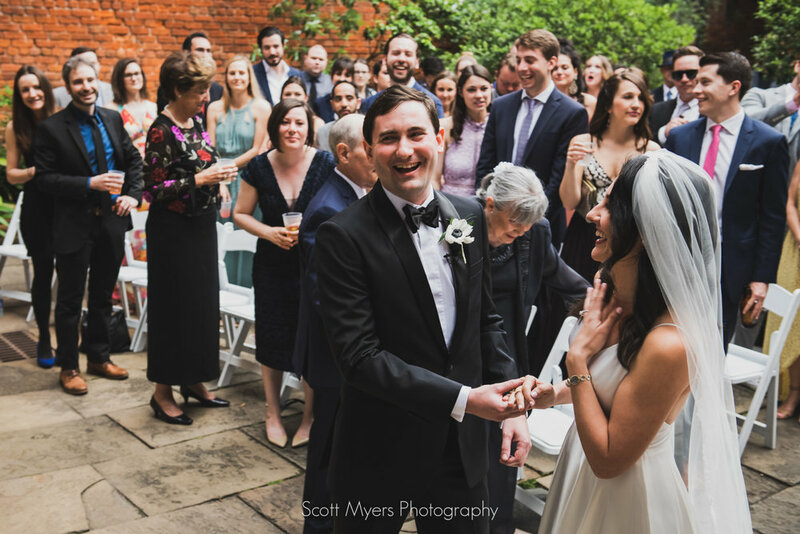 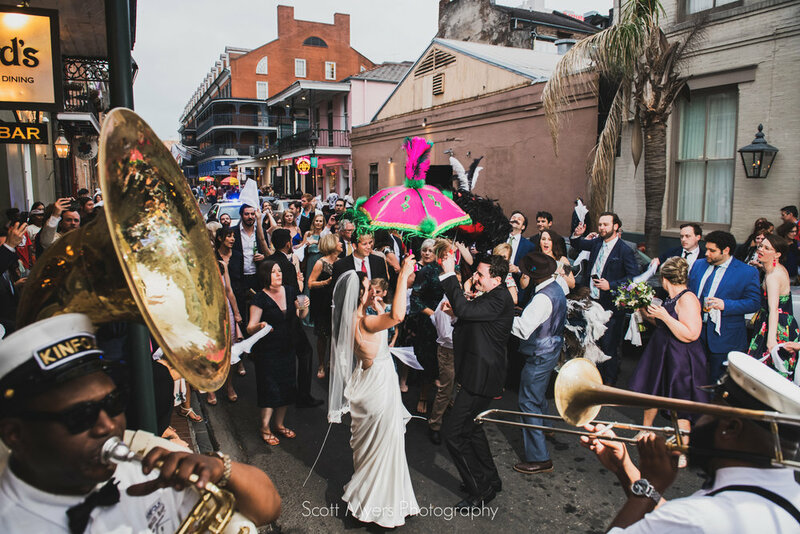 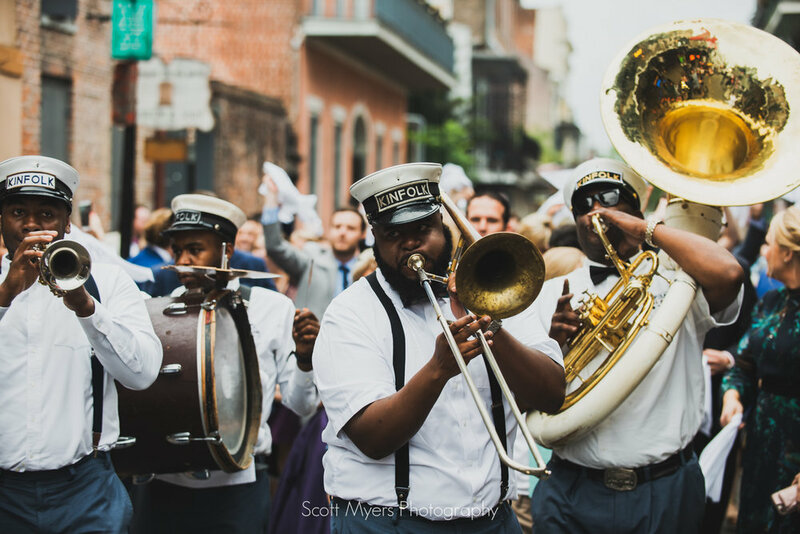 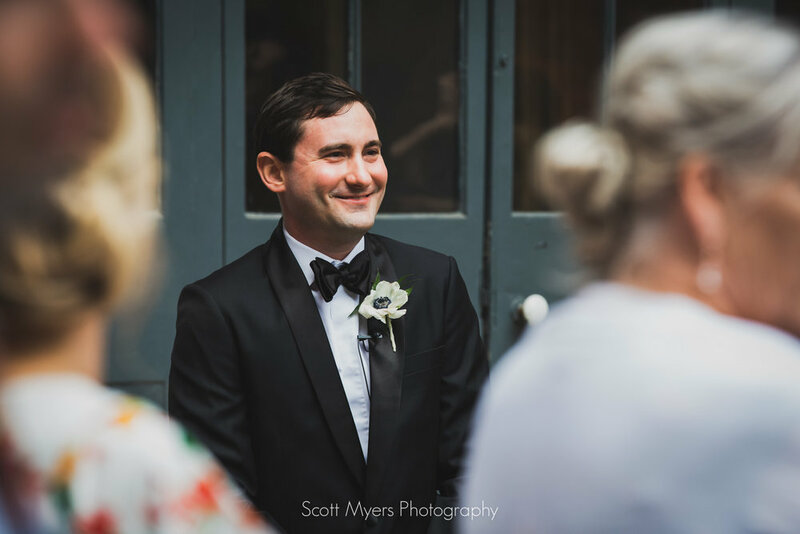 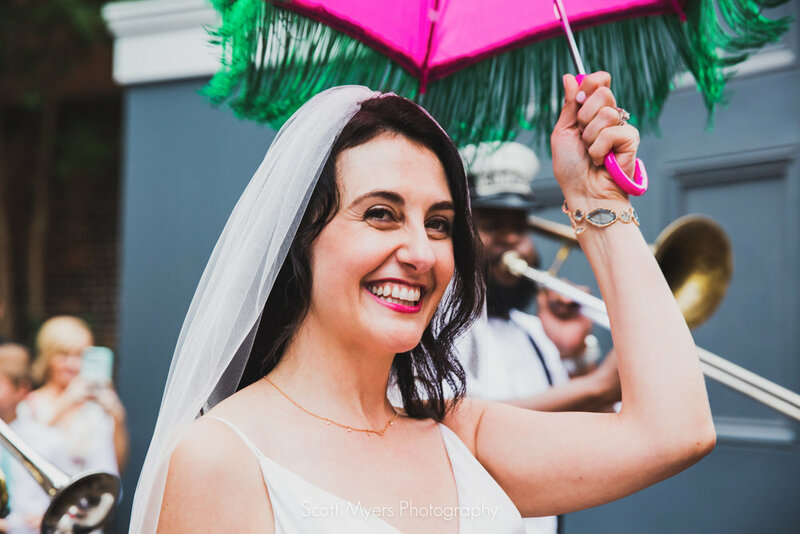 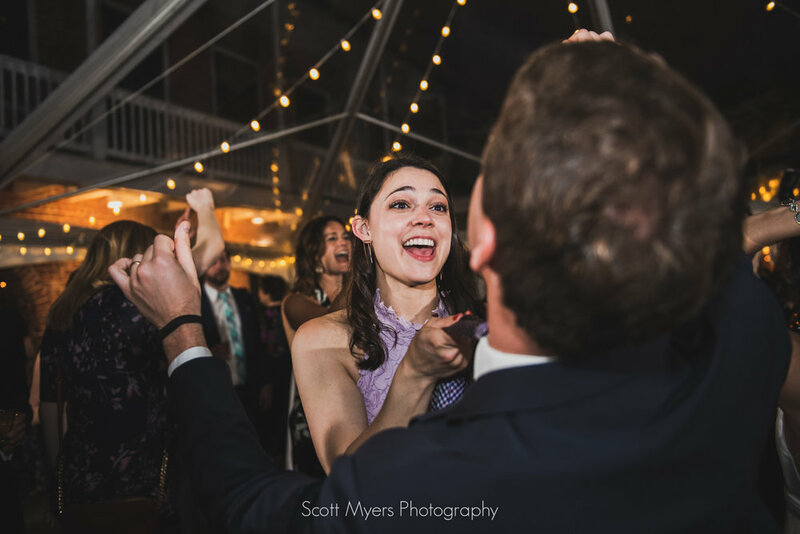 After the ceremony, and a brief break for guests to grab a napkin and a drink, the Kinfolk Brass band struck up the party, and led the wedding around the French Quarter for a parade. 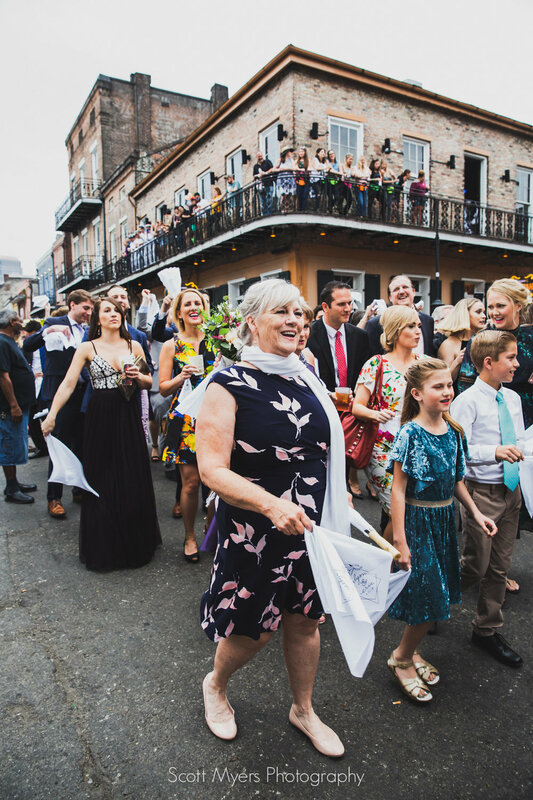 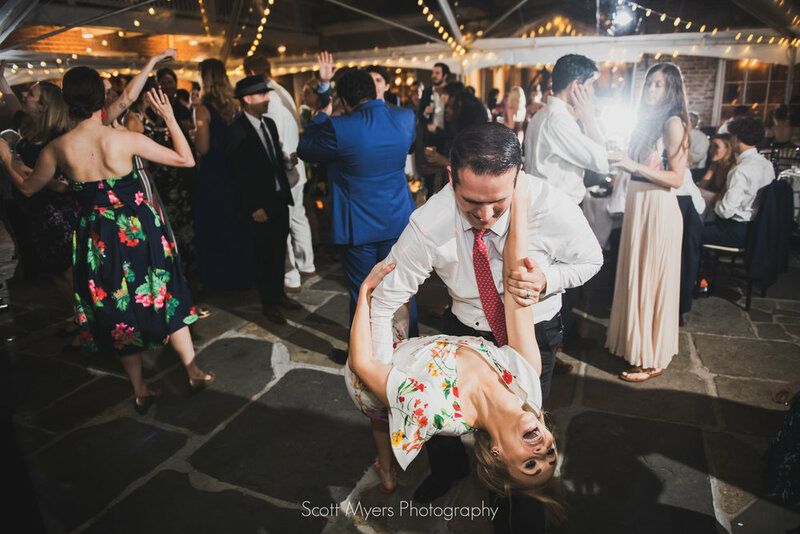 Once everyone was settled in at Broussard's, a full night of dancing, toasts and wonderful food commenced. 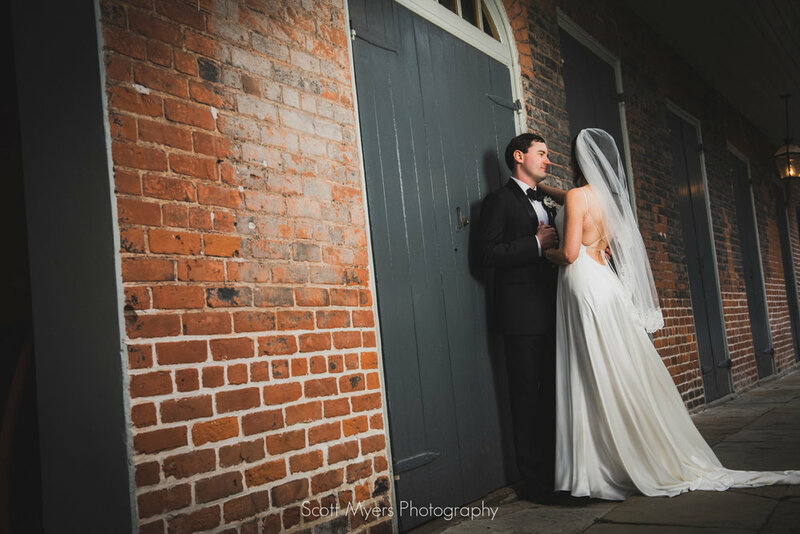 Many thanks to Alyssa and Eric for allowing me to document their fantastic event, to Julie Verlinden for excellent work as second photographer, Michelle at Unique Weddings for keeping everything rolling, Kinfolk for the great parade as usual, and the staff at Broussard's, who went out of their way to be cheerful and help the crowd party.